Happy Tuesday! I have a few more finished projects to share today, this time they're garments! These have been finished for a while, but I kept putting off posting them because of the photos. I took photos of these back in October, then promptly deleted them without transferring them to my computer. Doh! When I finally re-shot them, I didn't really like the photos, but I don't want to take them a third time. Sometimes we must admit defeat, right? Oh well, at least the actual projects are cute! 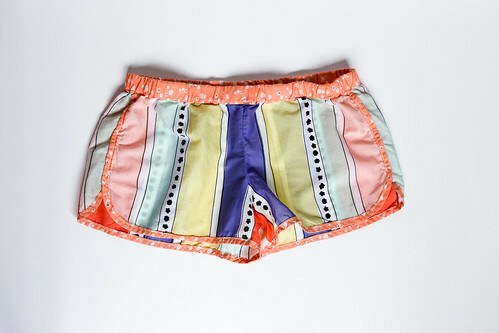 First up, we have some pajama shorts! I was so excited to try out the City Gym Shorts Tutorial from The Purl Bee last Fall. They're so cute, and I love sleeping in shorts. 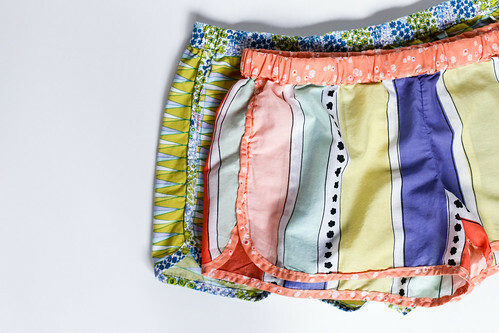 These take almost no fabric, which makes them even better! I used two prints from Dreamin' Vintage for these, including my favorite meadow print. They're super comfy, and I wear them a lot! I made the second size up and they did turn out a bit big. 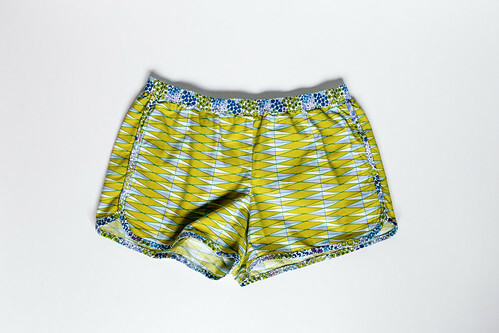 Before making my second pair of City Gym Shorts, I adjusted the pattern a bit. I used my favorite pajama shorts from Target as a guide. They're a little shorter, but mostly they are a little less wide. These ones I made out of Geometric Bliss voiles, which are so buttery. Perfect for pajamas! I want to do another pair and swap the prints. Another simple project with the Geometric Bliss voile, a Wiksten Tank. 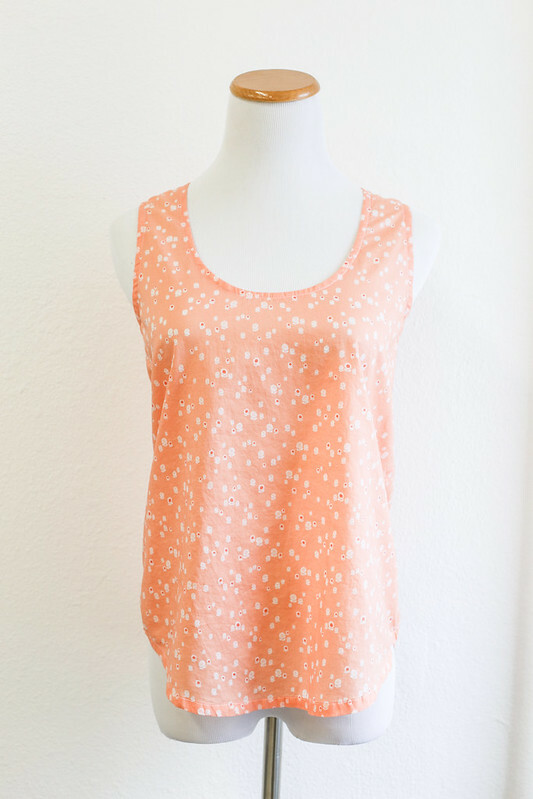 I get a lot of wear out of these tanks in the summer and knew this would be a great color to mix into the rotation. The voile makes them such a nice weight for layering, they're so soft and comfortable. I've made a lot of these tanks, you can see them here. I used 50wt Aurifil thread for all of these projects. 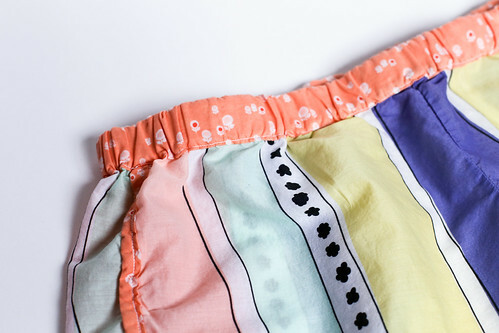 I finished my seams with my Juki serger, and put the projects together with my Janome 1600P. They are all very cute. I see you put short sleeves in some of the previous tanks--good idea. How did you do this successfully. 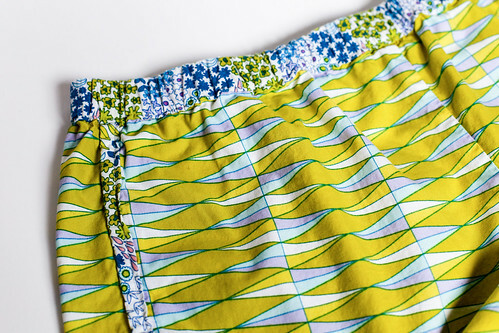 Also, I think I saw a Nani Iro dotted double gauze. Is that right? I've wondered how they make up into garments. I use the sleeves from the Scout Tee pattern by Grainline Studio: http://shop.grainlinestudio.com/collections/tops/products/scout-tee-pdf They are gathered slightly and ease in without any trouble. The double gauze makes great garments. It's soft and drapes nicely. I follow your blog for some time now. I love your designs and quilts! Can't wait to see more of your projects. And I love your pajama shorts. And a free tutorial for them. I definitely have to try making them. Thanks for showing it. Are these items made out of knit? or woven? It looks like woven in the pics? They're all made out of voile, which is woven.